What’s better than faking it with highlighters and illuminators? Not needing to fake it – by building better skin from the inside out. My skin started looking a little lackluster lately, so I decided to do something about it. Not the quick-fix, drown your cheekbones in illuminator kind of way – the real way. Why? Because, well, I’m at the ripe old age of 25, and, just as my mother always told me, those years of binging on chocolate and fast food do finally catch up with you, so I decided to take action and try something new – i.e. Estée Lauder’s Micro Essence Skin Activating Treatment Lotion. 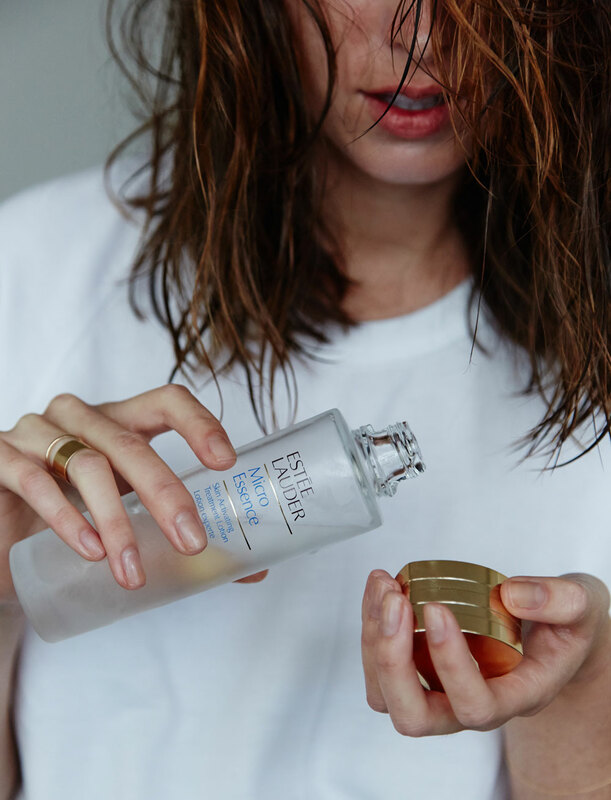 A skincare routine should be so much more enjoyable than washing your make-up off and slapping on a moisturiser. 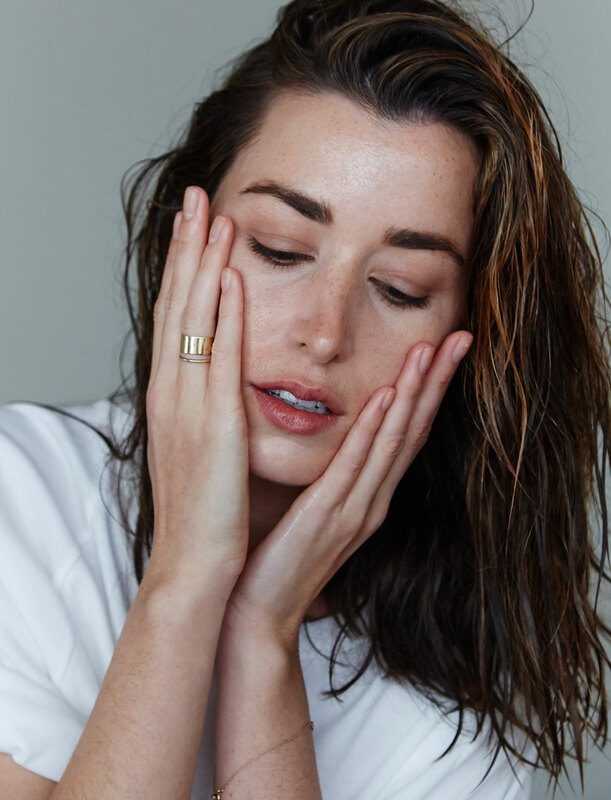 It’s about taking a moment to indulge, and nourish your skin – healing it from the inside out, and giving it what it needs to stay radiant and youthful every single day. Your products can’t work their magic if they’re trying to breakthrough a make-up barrier. Massage a cleansing oil over your face in circular motions so it lathers-up. Rinse with tepid water. Pour 5-6 drops into your palm and rub hands together. Start at the chin and work your way upwards to the forehead. I keep kneading the lotion into my skin with my palms until it’s completely absorbed. Nothing has ever had such an instant impact on my skin. Micro Essence makes it look like I’ve pumped my daily two litre water intake straight into my pores and after using it for two months, my overall skin tone looks so much better. I’m even considering saying goodbye to my beloved tinted moisturiser. Adding this step to my routine morning and night has totally upped my skincare game because I’m treating the skin from within. Micro Essence quickens-up the cell renewal process so my skin looks refreshed and radiant 24/7. 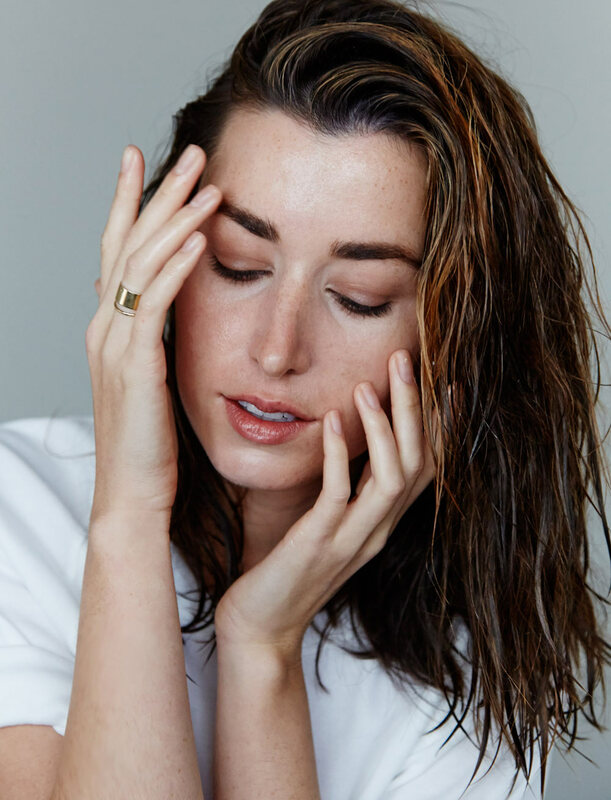 It also builds-up the skin’s natural barrier to be more resistant to the day’s stresses, which slows the ageing process, and you know what they say – prevention is better than a cure. Put 3-4 drops of this serum in your palm and use the same gentle pressing motion to apply it all over your face. Then, using the tips of your fingers, gently tap all over your face for one minute. This increases blood flow and awakens the skin. 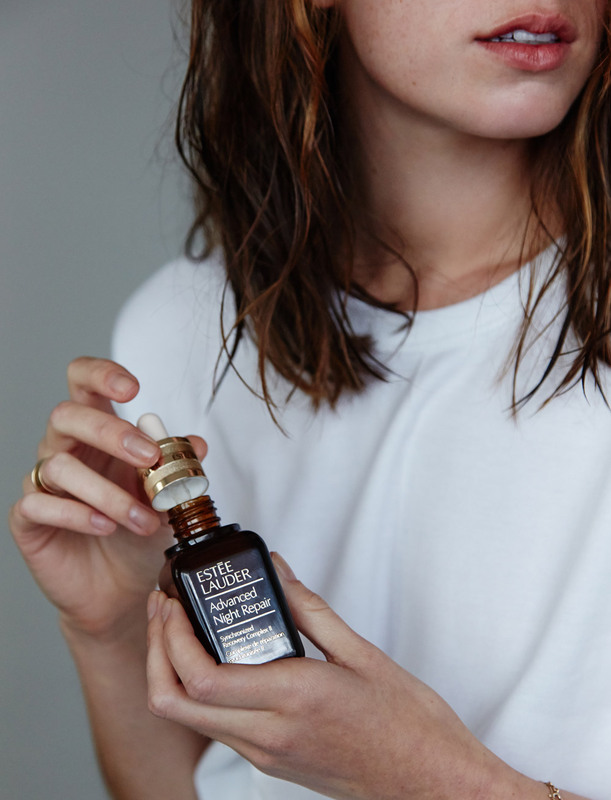 Advanced Night Repair locks-in the Micro Essence and helps it to penetrate deeper into the skin. They work together to boost the skin from within and give you a real glow that no highlighter can mimic. Now you’re done with the target treatments, work a simple moisturising lotion into your face and neck to seal the deal. Dry, papery skin around the eyes can make you look 10 years older, which isn’t usually the look I’m going for. 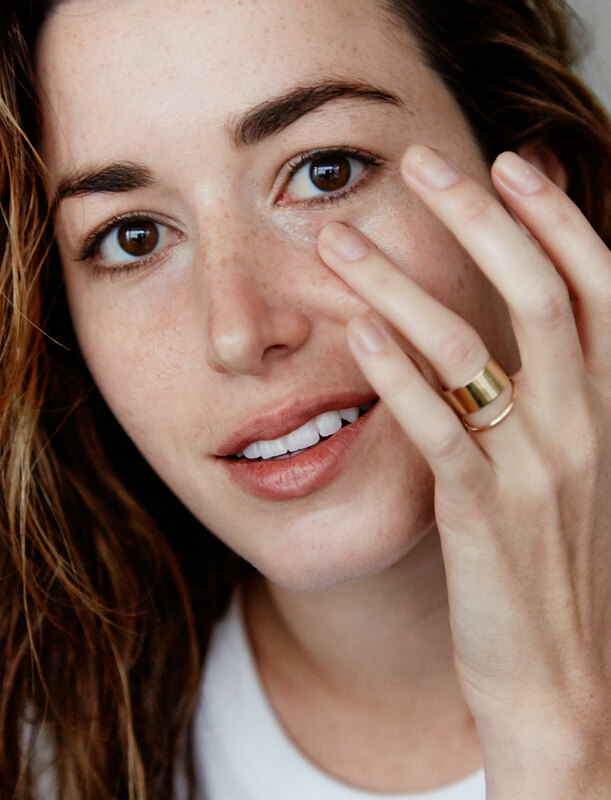 Use your ring finger to gently massage an eye cream around the whole eye area. It’s like a double-dose of superfoods for your skin! Do this morning and night and watch your skin transform. Special thanks to the Watson’s Bay Boutique Hotel.